Jamia Hamdard B.Tech Admission 2018 would be done on the basis of JEE Main Paper 1 score. Those aspirants who are willing to take admission into Jamia Hamdard have to apply separately to the B.Tech programme in Jamia University by filling up the online application form. Jamia Hamdard offers three specialisations in the B.Tech Course i.e. Computer Science Engineering and Electronics and Communication Engineering and Food Technology. Jamia Hamdard also offers admission in B.Tech Food Technology. The interview for the course will be conducted on 10 July 2018. Scroll down for the Jamia Hamdard BTech Admission 2018. Jamia Hamdard University has got the affiliation from UGC as the deemed university and it has been actively involved in providing undergraduate and postgraduate programs in B.Pharm, MBBS, BUMS, B.Sc., BOT, BPT, BMIT, BCLT, B.Tech & M.Tech. Academic Eligibility: The candidate who wants to get admission into the CSE and ECE program must have passed the senior secondary exam or other equivalent exams with Mathematics and Physics as compulsory subjects. The candidate must have availed an additional subject from the mentioned ones: Computer Science, Chemistry, and Electronics. At the time of admission, the candidate must have secured 50% marks in the senior secondary exam. Qualifying Entrance Exam: Candidates need to appear for JEE Main Paper 1. Merit list will be prepared on the basis of JEE Main paper1 score. Jamia Hamdard B.Tech Application Form 2018 can now be filled through online mode. The candidates are suggested to follow the link given below in order to fill the application form. The last date to fill the application form is 20 June 2018. Hence, the students are suggested to fill the application form on or before the due date. Fill the Application Form: The candidates have to provide the Email ID and Contact Number; it will be used for communication. Upload the Required Documents: The candidates are required to upload a scanned copy of their passport size photograph, scanned copy of signature and other required documents such as JEE admit card. While filling up the application, the candidates can choose up to three-course name from the drop-down list. The candidates have to provide qualifying test score details. The candidates have to also mention the domicile. Payment of Application Fee - The fee payment can be done through net banking/debit card/credit card and bank draft. The submission of the application form will be online only. There is no need to send the application form by post to the Jamia Hamdard University. However, the candidates are advised to take a printout of the application form for future reference. The candidates can also contact 0124-4326866 for any help while filling the application form. Application Fee: Jamia Hamdard B.Tech Application Fee will be. 2,400. Jamia Hamdard is a deemed university and offers B.Tech program in two specialisations, The course fee for both the streams is to be paid semester wise till 8 Semesters. Check the Jamia Hamdard B.Tech Course Fee 2018 below. Jamia Hamdard University will release the B.Tech Merit List based on JEE Main Score. Jamia Hamdard B.Tech admissions will be solely based on JEE Main Paper 1. For the quota based admission in the management seats, the candidates will be given the admission based on management quota seats available with the university. 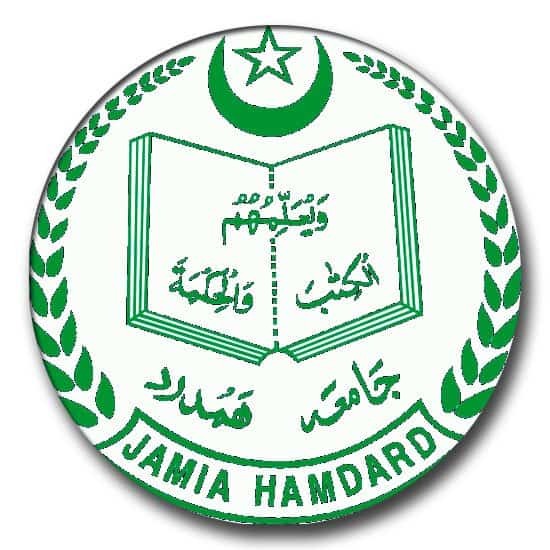 The name of the candidates who are selected for Jamia Hamdard B.Tech admission will be posted on the college notice board, the names will also appear on the university's website. The selection for B.tech admission will be based on JEE Main Paper 1 result. The candidates must bring the original JEE mark sheet, qualifying examination mark sheet at the time of counselling. If the candidate fails to appear for the counselling, the seat will be given to the waitlisted candidates.